Part of what we do at SpringsTaxpayers is attend meetings that might not make the news, but that have a big impact on our community. Last night, I attended the Antler’s Park Forum Q & A. The forum was sponsored by those who want to turn Antler’s Park in to a soccer field for the Colorado Springs Switchbacks to hold their games. The proponents also intend for the stadium to be used for concerts and other entertainment when the Switchbacks aren’t playing. I attended this meeting to collect information for you: people who may or may not enjoy Switchbacks soccer but who pay all the taxes and “fees” that are required to live in the City of Colorado Springs. It’s important for all residents of Colorado Springs to have a say in this potential Sports and Events Stadium. The Colorado Springs City Attorney is exploring the legal aspects of using this parkland —that was given to the City by General Palmer— for the downtown Sports and Events stadium. Perry Sanders, who appears to be the main backer of the project, was the primary presenter last night. Sanders cited multiple examples of the city using other publicly-owned land for previous projects (Strawberry Fields, etc.) and wants a “level playing field” to have his project considered, too. Multiple things stood out through the almost 2-hour presentation, and question and answer session. At times, the atmosphere was like a high school pep rally and the crowd was cheering on their quarterback. Definitely a crowd who wants the stadium built! Of the 75 people in attendance, I would estimate only 10 of us did not know Sanders, owner of the Antlers Hotel, The Mining Exchange Hotel, Perry Sanders Law, and The Famous. The traffic and parking concerns were largely dismissed. There was talk about Sanders building additional parking downtown. He was very future-focused in addressing the likely congestion problem and said that Uber, shuttle vans, and autonomous vehicles would likely solve many of the parking and traffic concerns. Also, he noted that there will be many new apartment complexes built in the downtown area, and that those people will be able walk to the stadium. Having just reviewed the list of the 25 most dangerous intersections in Colorado Springs for 2017, the 3 most dangerous intersections in Colorado Springs are all within 7 minutes of this proposed stadium. Most people in the Pikes Peak region use their cars and need parking when they arrive at their destination. Why burden these intersections with more traffic that they can’t handle? Many concerns were raised about the existing park. Currently, there are homeless people who sleep in the park, defecate in the park, and throw their dirty heroin needles onto the grass. We are left to wonder how a new stadium will solve those issues. Sanders repeatedly stated that the stadium would be completely open to citizens when it wasn’t being used for events. If our city can’t keep people from standing on medians and panhandling, how are they going to keep homeless people from treating the stadium in the same way they treat the current park? Attendees were told that there would be no money coming from the city’s general fund cover maintenance. But presenters were vague about how the stadium was going to be maintained. There was discussion that funds would come from City for Champions and LART. But that is ALL taxpayer money. They also talked about sponsorships as a possibility, but no specifics were provided. The presenters expressed concern at the thought of losing $28 million dollars from the state. That is also taxpayer money. So what can we do? Contact Colorado Springs City Council members today at AllCouncil@springsgov.com and let them know your thoughts on this 10,000-seat stadium proposal. There is a City Council meeting tomorrow, which will be in executive session, to talk about the legal aspects of this property. You may view last night’s meeting, in its entirety, at our Springs Taxpayers You Tube channel. And while you’re there, subscribe to the channel to get all of our recordings delivered to your email box. Thanks for your time and involvement in your community! I’m a supporter of the stadium and Colorado Springs. I do believe that Antlers Park has been cutoff from downtown and as a result under used by the general public and a haven for drug users and the homeless. Adding the traffic of the stadium will discourage homeless from camping out there AND it was proposed the funds generated from leasing it be used for maintenance and a portion of the leases and ticket sales directed to actually creating work and housing programs for the homeless. The facility will be multi-use and owned by the City, so think of the concert and festivals that could be held there and the opportunity to make the park area usable for families during non-leased events. People can enter and run the stairs for exercise. These are some key points. 1. The Antlers and other parking garages can handle the cars for the events. Most attendees come as 2 to 4 per car, so the 10k fans, if the stadium is sold out, would take up 2 to 3 garages at most. 2. Traffic impact would be on weekends, when there is less traffic downtown. 3. There are already funds set aside that have been allotted to use for tourism development. If the $28 million is not used here in Colorado Springs, the money goes back to the state to be used elsewhere. Ground breaking has to occur by mid-December 2018. 4. This money cannot be used for other purposes, such as roads, infrastructure, etc. 5. No taxes will be used for the stadium construction. There are private investors who will also contribute. Mr Sanders is donating $30 million in estimated assets in the use of is loading dock area for the new facility. The goal is to have it fully paid for by completion. 6. Building the sports complex would improve the park area and draw more business downtown. One independent guest last night had polled area business owners and had received unanimous support for the stadium. 7. In order to compete in the USL, Colorado Springs needs this professional venue. It will draw more away fans to our wonderful city and really be a benefit to growing tourism, which is the intent of the funds. 8. 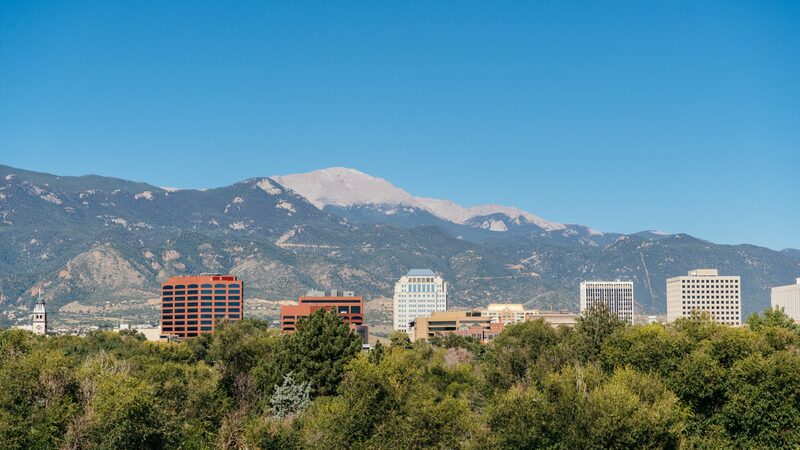 We need to be a City that is ready to move forward with creating a sense of pride in “Colorado Springs”, instead of shooting down growth opportunities and being know as the little town south of Denver that sends all our opportunities for sales revenues that could be collected for event center activities north to Denver. Next Monday, 2018 01 29, go to http://www.soundcloud.com/studio809, and listen to Council Matters labeled Antler’s stadium for an insight from two council members. We don’t need another venue for sporting events. We DO need another toll-free lane on I-25. How is the expansion of I-25 NOT an expenditure toward promoting tourism? Colorado tax revenue which is set aside for specific purposes is still our tax dollars. If THEY can earmark it for tourism, why can’t THEY re-earmark it for I-25? CAN’T or WON’T is the question.